Home > Party Pong: Everyone Joins In! 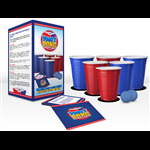 Beer pong is a brilliant party game, but it does have one big flaw in that only two people can play! 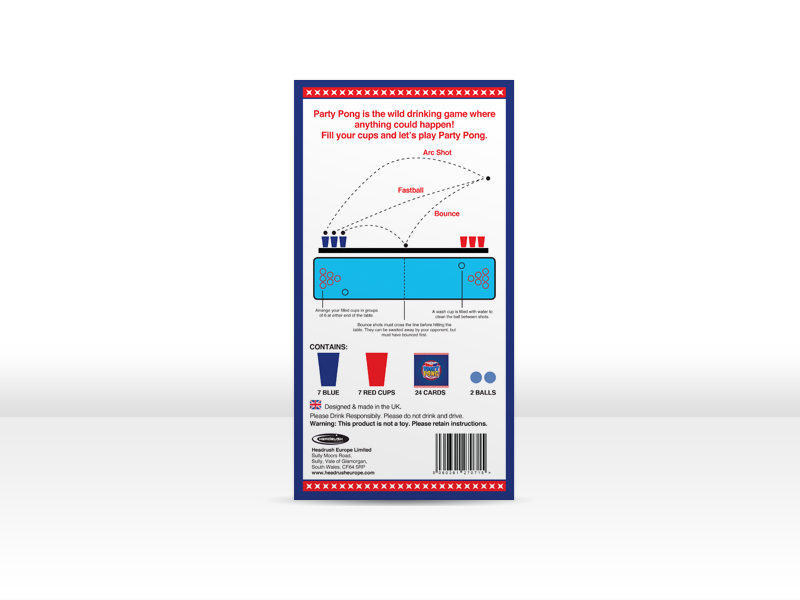 This means that, unless your parties are very small indeed, a standard game of beer pong will leave most of your guests on the sidelines. 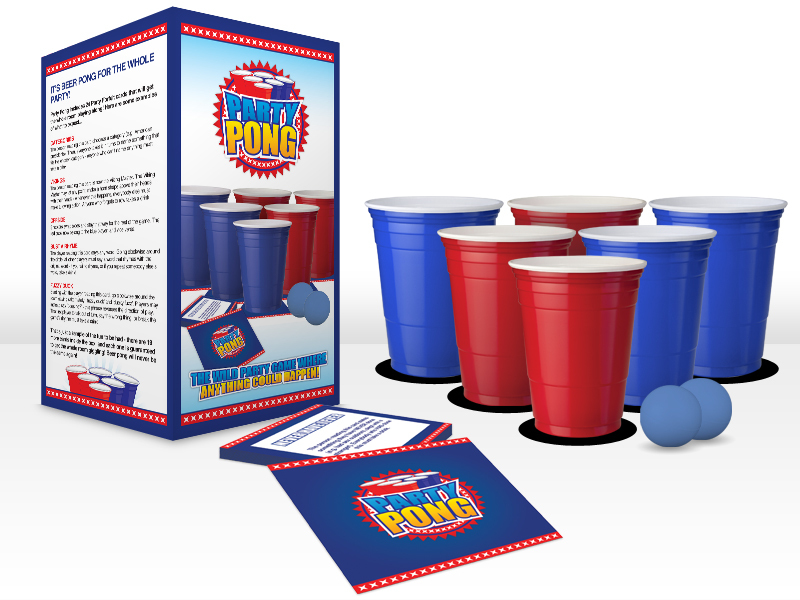 Fortunately, we've come up with a sensational solution: Party Pong! 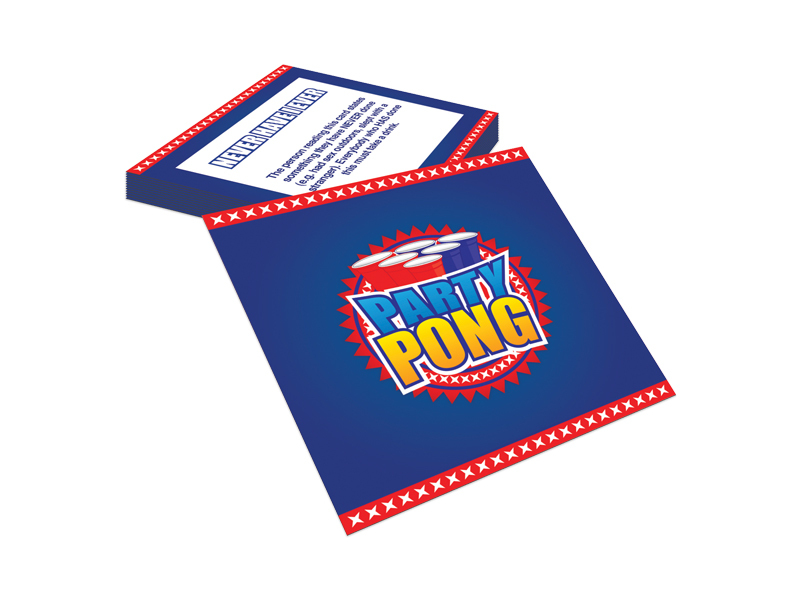 This unique twist on the classic beer pong rules allows EVERYBODY to get involved in the game - 'Party Forfeit' cards are placed under each cup, and when a cup is removed from the table, the whole party must follow the card's instructions! 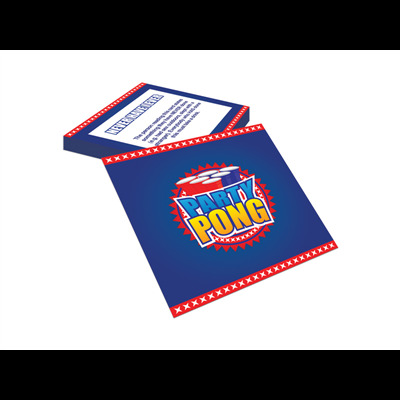 Never Have I Ever – The person reading this card states something they have NEVER done (e.g. 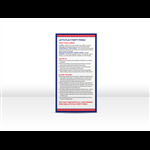 slept with a stranger). Everybody who HAS done this must take a drink. 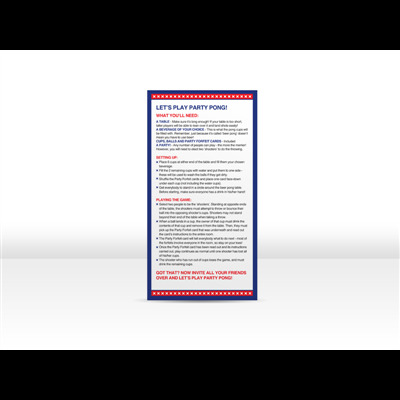 Waterfall – Starting with the person reading this card, everybody takes a drink. 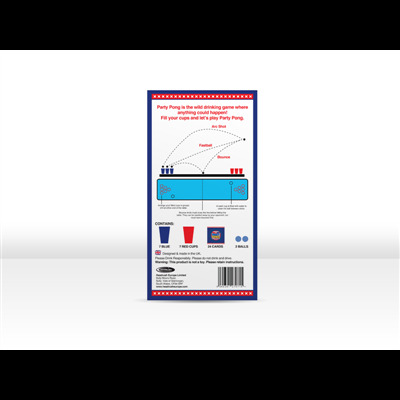 Players should only start drinking when the person on their left has already started drinking, and they must continue drinking until the person on their left has stopped (creating a ‘waterfall’ effect). Smile – From the moment this card is read out, nobody in the room may show their teeth when smiling. 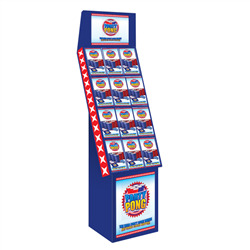 The first person to be caught doing so takes a drink. 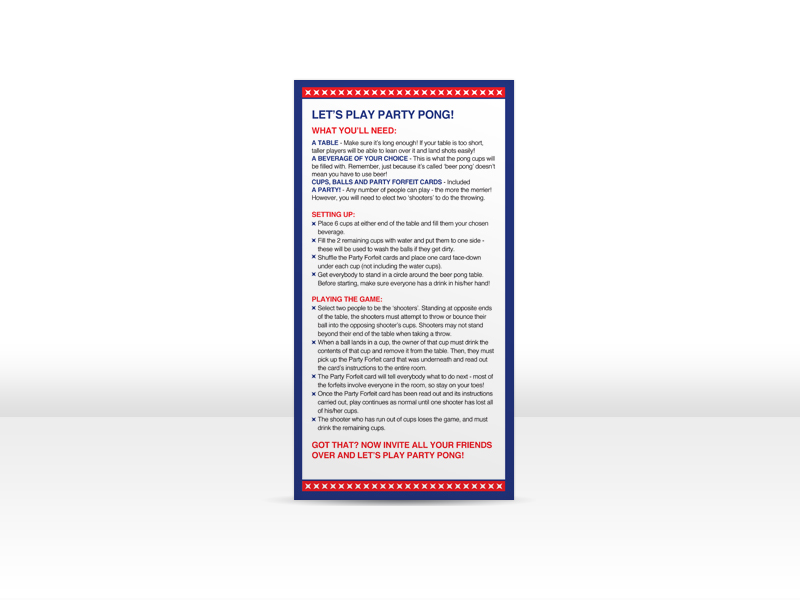 As you can imagine, this game will turn almost any party into a total laugh riot! 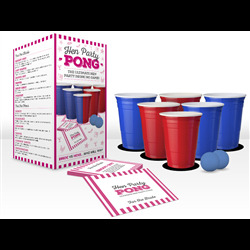 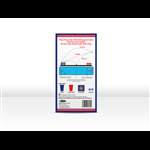 Party Pong is perfect for any retailer who sell drinking accessories, party supplies, and gamess. 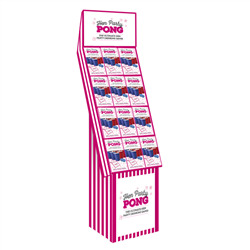 Rules are printed on the box for easy reference. 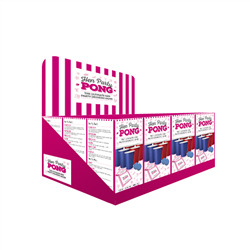 Want your Party Pong sets to stand out? 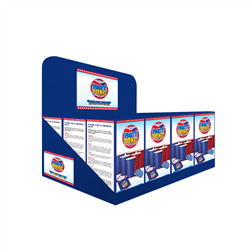 Matching POS display units are available for this product.